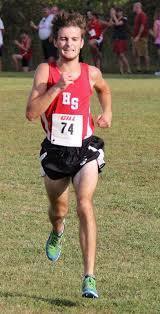 Parker Ables is a 4 year All-State athlete for the Heber Springs Cross Country team. He is a huge asset for the team. He is a dedicated worker and will stop at nothing to win. Recently, we interviewed Parker reflecting on how he wants his senior your to be like. It can't be fun, but thinking of the reward. Who are some contributors to your success as an athlete? Coach Goldman, Coach Cresswell and family who comes to support me. Putting in the time is worth it. Going to college at Oklahoma Baptist to run for them. Come watch Parker and his fellow teammates today at JPM.